Factory full size RTF Gen 3 Frame. 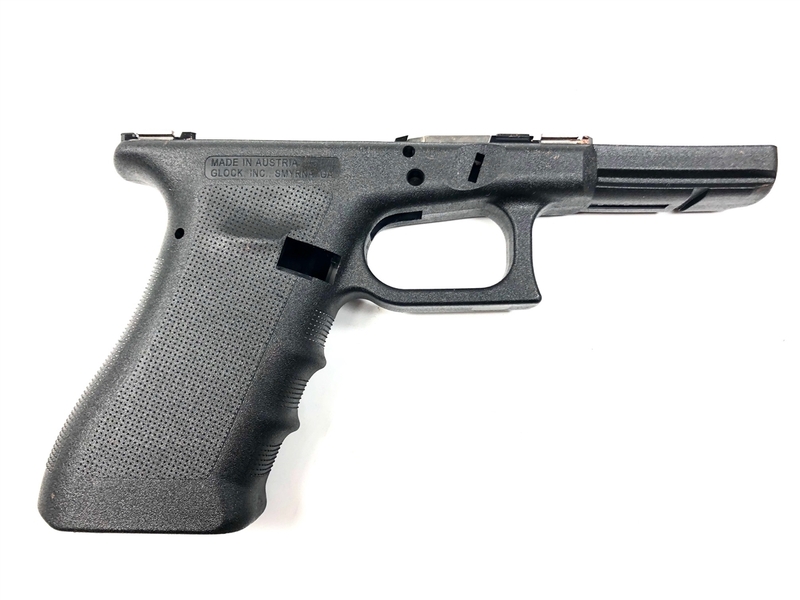 Compatible with G17, G22 or G31 frame parts. Stripped frame but will include locking block. A great start to build a custom pistol. Must ship to a FFL Dealer. Please allow 2 to 5 business days for your order to be processed after receiving your transfer dealer's FFL.